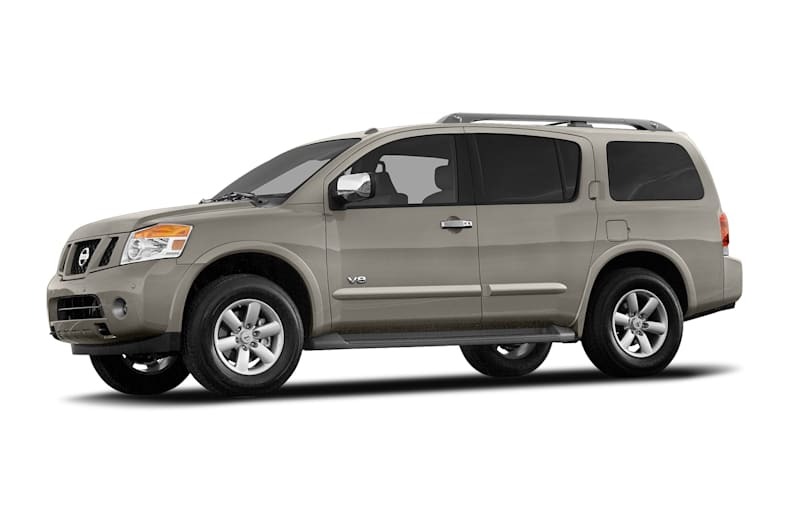 The 2009 Nissan Armada receives only minor cosmetic and packaging changes because it had a major redesign in 2008. While fuel prices and environmental concerns have tempered the full-size SUV market, there remains a need for seven-or-eight seat vehicles with room for some cargo that have the ability to tow sizable trailers, reach remote destinations, or both, and that's what the Armada is for. Armada is rated to tow a 9,000-pound trailer. The Armada is spacious enough to seat adults in the third row and with up to five individually folding seats allows a variety of configurations balancing people and package needs. It possess a competitive, healthy V8 engine and five-speed automatic designed for serious work yet tamed to smoothness and background hum, and independent suspension all around capable of delivering a good ride, accurate response, and durability off the highway. This is genuine 4WD in the vein of Land Cruisers and Monteros, not merely an all-wheel-drive system for inclement weather. Yet you can drive it in urban settings without feeling you're piloting the QE2 down the Potomac. Armada offers a host of goodies to keep everyone happy, including three air-conditioning zones and an audio system that can play two sources through speakers and headphones. This is a good vehicle if you need it. If you don't tow much or need the larger third-row seats, there are alternatives. With a set of four winter tires and 4WD, an Armada can go places that you never expected. Drive it and you'll discover a level of quiet strength and refinement you haven't experienced in a Nissan truck, and see what we mean when a model year refresh can be better than new.